The night of May 16th, 1943. Nineteen specially adapted Lancaster bombers take off from RAF Scampton in Lincolnshire, each with a huge 9,000lb cylindrical bomb strapped underneath it. Their mission: to destroy three dams deep within the German heartland, which provide the lifeblood to the industries supplying the Third Reich's war machine. 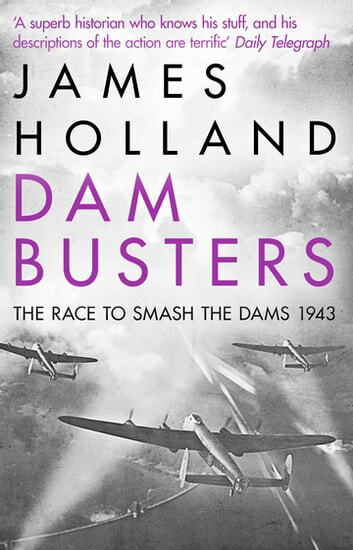 From the outset it was an almost impossible task, a suicide mission: to fly low and at night in formationover many miles of enemy-occupied territory at the very limit of the Lancasters' capacity, and drop a new weapon that had never been tried operationally before from a precise height of just sixty feet from the water at some of the most heavily defended targets in Germany. More than that, the entire operation had to be put together in less than ten weeks. 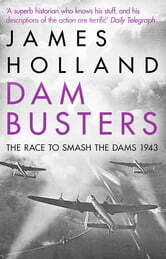 When visionary aviation engineer Barnes Wallis's concept of the bouncing bomb was green lighted, he hadn't even drawn up his plans for the weapon that was to smash the dams. What followed was an incredible race against time, which, despite numerous setbacks and against huge odds, became one of the most successful and game-changing bombing raids of all time.